From Princess Margaret's 21st birthday gown to Oscar winner Jennifer Lawrence's red carpet dress, Christian Dior outfits that have made headlines go on show in a London exhibition dedicated to the French fashion house. With a supporting cast of accessories, sketches and perfume bottles, "Christian Dior: Designer of Dreams" takes a close look at the history of the luxury brand he founded in 1946 and which remains the epitome of haute couture. 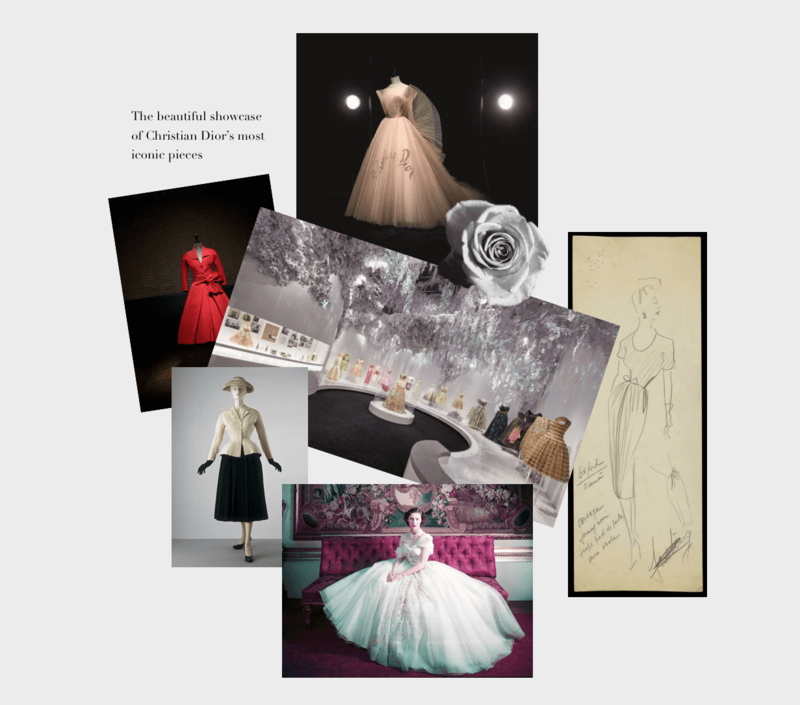 The Couture Edit highlights include Dior's signature Bar suit, a sculpted off-white jacket synched at the waist and black pleated skirt and the gold straw embroidered silk bodice and full-skirted gown Dior designed for Britain's Princess Margaret's in 1951. With over 500 items on display the legacy of Christian Dior continues to blossom with heritage and craftsmanship at it's finest. The exhibition opens to the public on February 2nd at the V&A Museum.